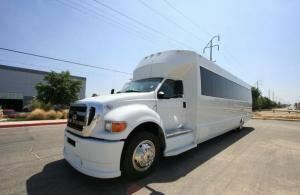 Party Buses Los Angeles is available for your bus rental needs in LA and the surrounding areas. 2006 was the year when the LA office was opened to extend our rentals on the West coast. The charter buses that we have available are always the top quality to make sure that transportation with us will be the finest and most enjoyable option. We are available to answer any questions and give a rate quote either on the phone or with live chat on our website.